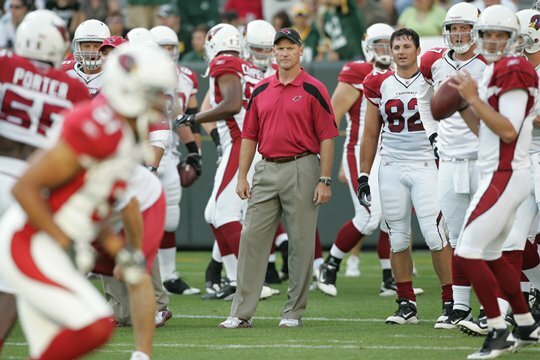 The Cardinals fell to the Packers in Friday night’s exhibition game, but that was not the worst news. Rookie running back Ryan Williams seemingly tore his patellar tendon in the second quarter, and if the injury is as bad as expected, will miss the remainder of his first NFL season. This will be a huge blow to the run game and the Cardinals offense, especially after the front office shipped former backup Tim Hightower to Washington to give Wells and Williams more of an opportunity at the beginning of training camp. The decision to trade Hightower is going to be questioned, if only for the timing of the deal, but the coaching staff is high on Alphonso Smith, who has shown flashes in training camp, but has not seen adequate field time. That’s about to change moving forward. Arizona had only four running backs in camp after the trade of Hightower, and no they have three, including LaRod Stephens-Howling, who is 5’7” and 185 pounds. The Cardinals need to try and add another back for depth as well as injury concern, but don’t expect them to add someone just for the sake of adding them. Once final cuts are made, expect the Cards to pick someone up. Despite the injury to Williams, there were some positives about Friday’s game. Firstly, the pass rush was greatly improved, recording four sacks against a very talented offensive line. Darnell Dockett showed his consistency, racking up a sack for the second time in as many games. Calais Campbell showed his speed, getting to the quarterback as well. O’Brien Schofield continues to impress, getting a sack, forced fumble, and two tackles. On offense, the Cards successes were negated by the 11 penalties they accumulated, 9 of which came in the first half. The offensive line was able to provide running room for Beanie Wells, who had 44 yards on 11 carries. As a team, Arizona only rushed for 95 yards, something they will undoubtedly continue to work on, especially now that Ryan Williams is out definitely. 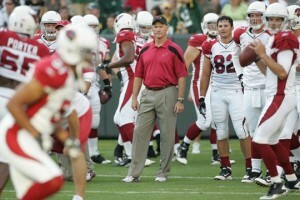 Speaking of Kolb, it is hard to take away anything from his performance last night. He wasn’t spectacular; throwing for 80 yards completing 6 of 11 passes with no touchdowns or interceptions. He was sacked in his first drive when he could have/should have thrown the ball away, and was late on a few passes to Larry Fitzgerald, which were knocked down. 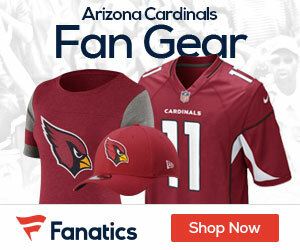 Cardinals fans are still waiting to see whether or not Kolb is worth the $63 million contract he was given before ever playing a snap, but he has played well enough in practices to make an impression on the coaching staff and keep his job. The Cards are making progress on the field, but Ryan Williams’ injury gives them another potential speed bump. Up next: San Diego comes to the Nest.